My original Soviet dolls aka Matryoshki wish you a happy, healthy and successful new year 2014! 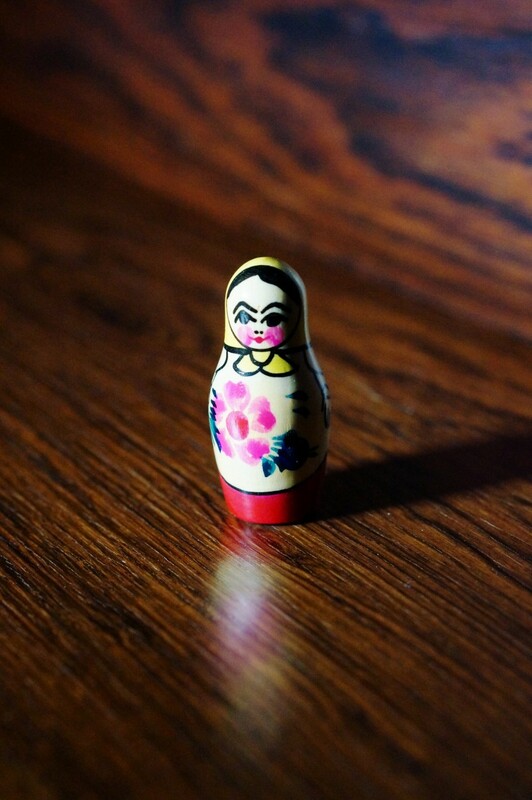 What is inside this Russian doll? 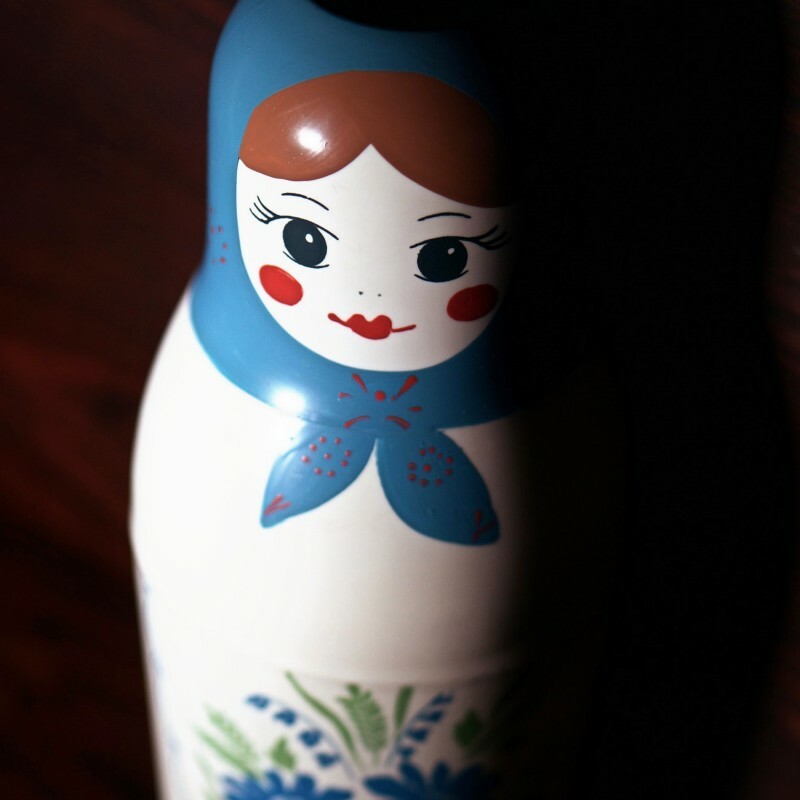 This Soviet Matryoshka doll is actually a thermos bottle, but usually these dolls accommodate similar dolls of decreasing size inside them. 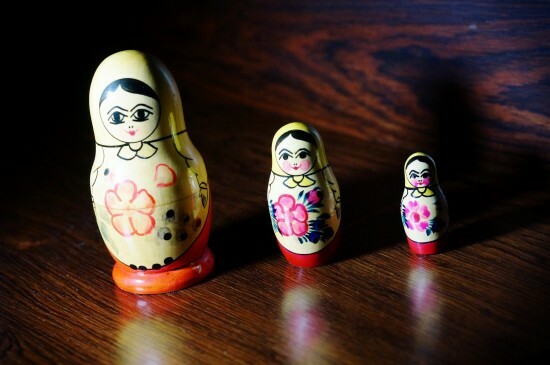 Hi, a Matryoshka doll is usually a wooden nested doll which contains similar dolls of decreasing size placed one inside the other. Traditionally, the outer layer depicts a rural woman, dressed in a Sarafan, which is a long traditional Russian dress. 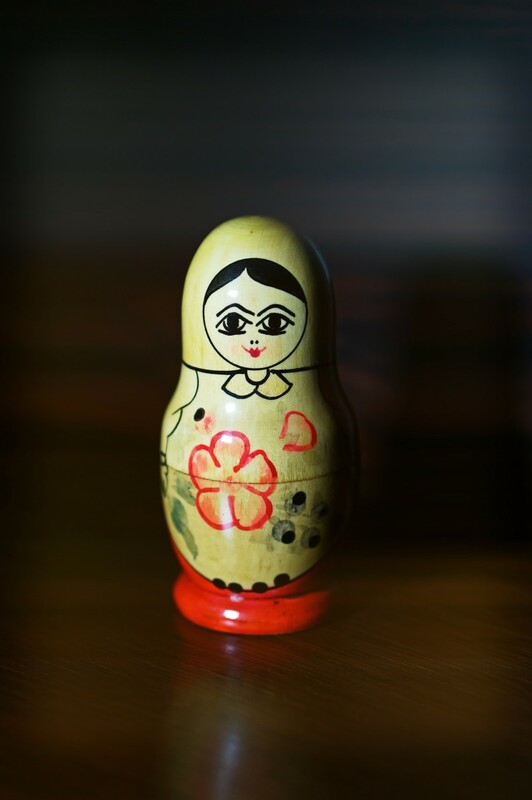 The innermost doll is typically a baby doll from a single piece of wood. 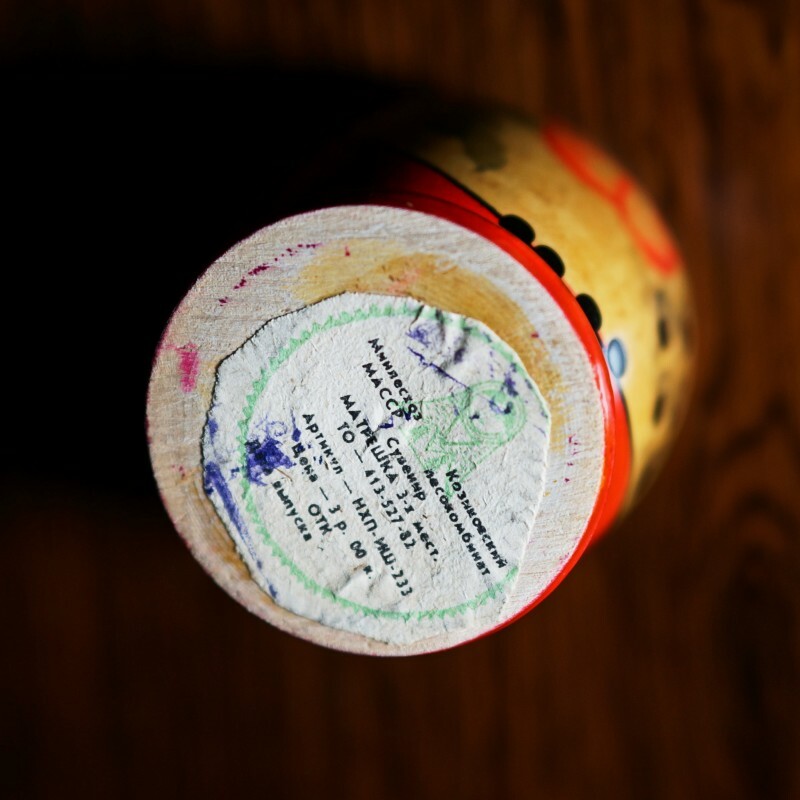 This was the original Soviet price tag at the bottom of the doll. 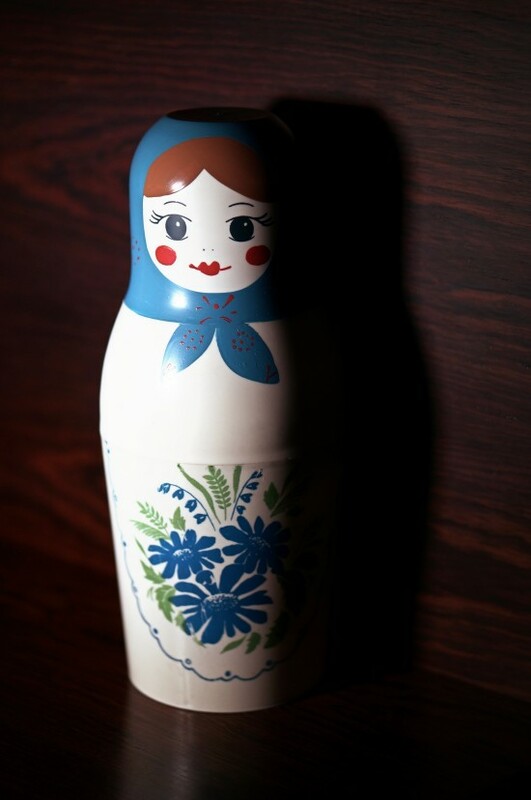 This doll was originally sold for 3 Rubles. Happy New Year and Welcome 2014! 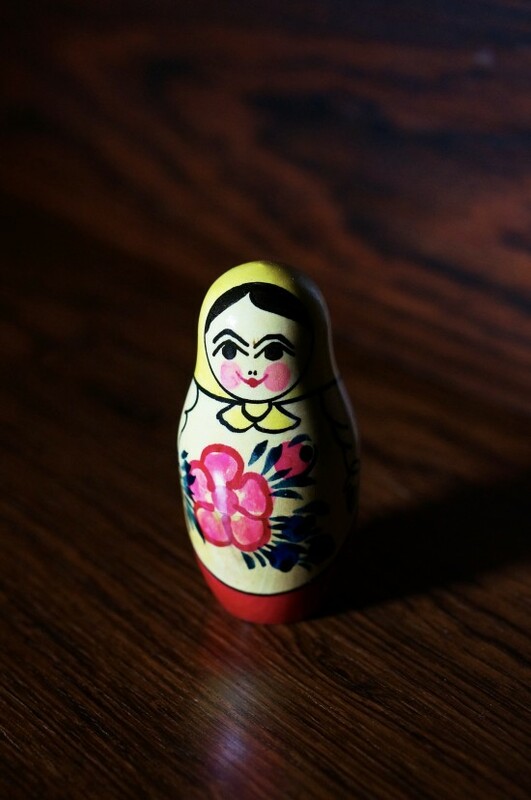 I is no SOVIET, but traditional Russian doll.